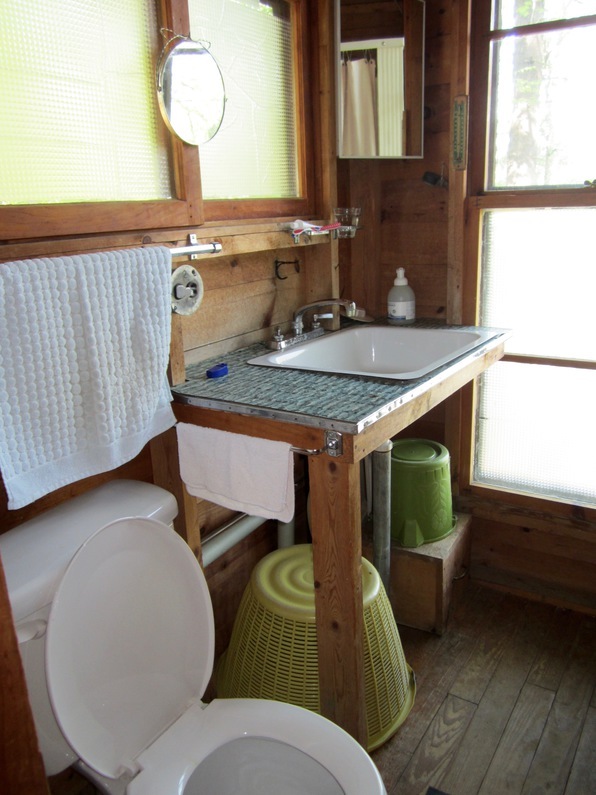 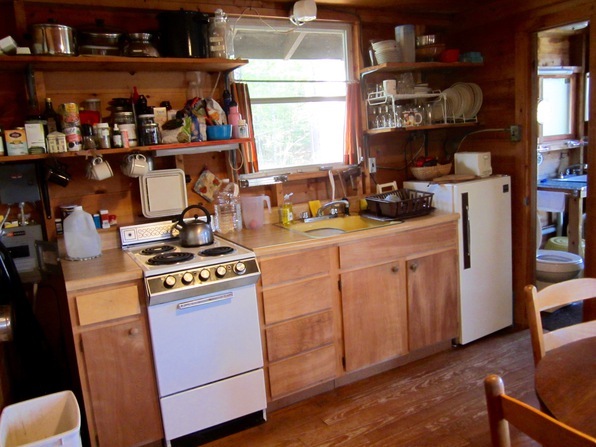 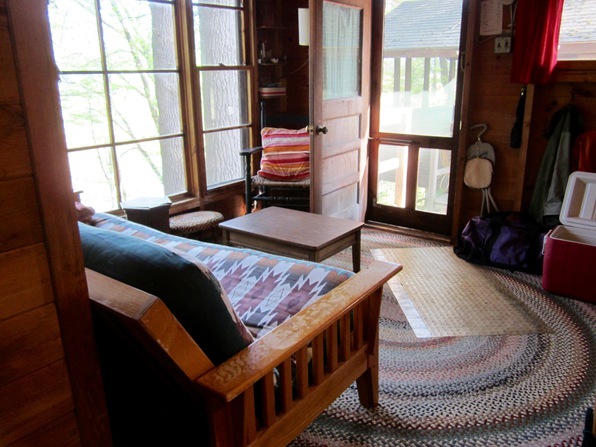 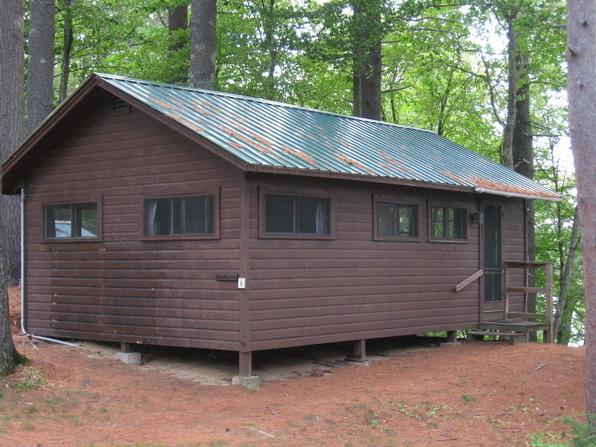 The Woofenden Cabin — or the "Woof Cabin" as most people call it — was built in 1955 by Rev. 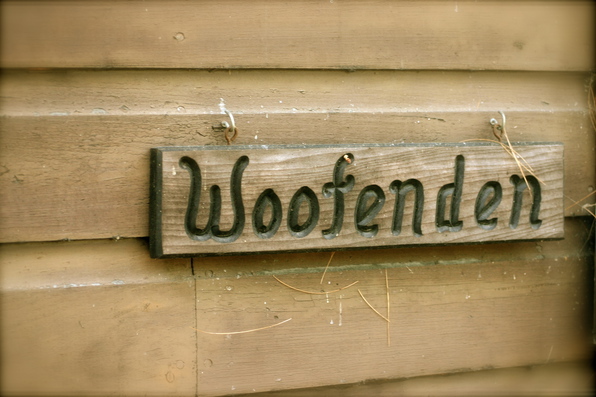 Dr. William R. "Pop Woof" & Louise Dole "Mom Woof" Woofenden. 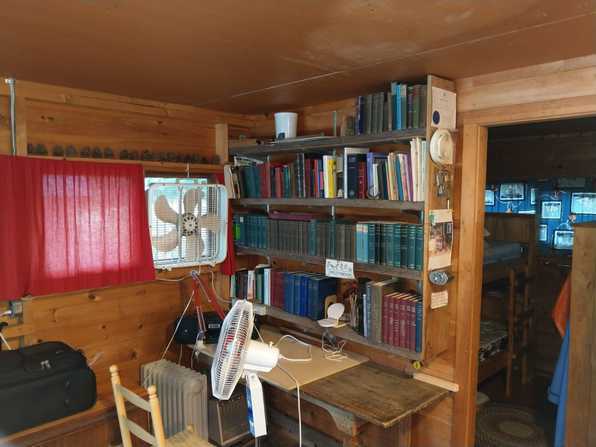 The main room has a living room area, dining table, a full kitchen with a 3/4 size fridge, and a study/library area with the good reverend's personal theological book collection. 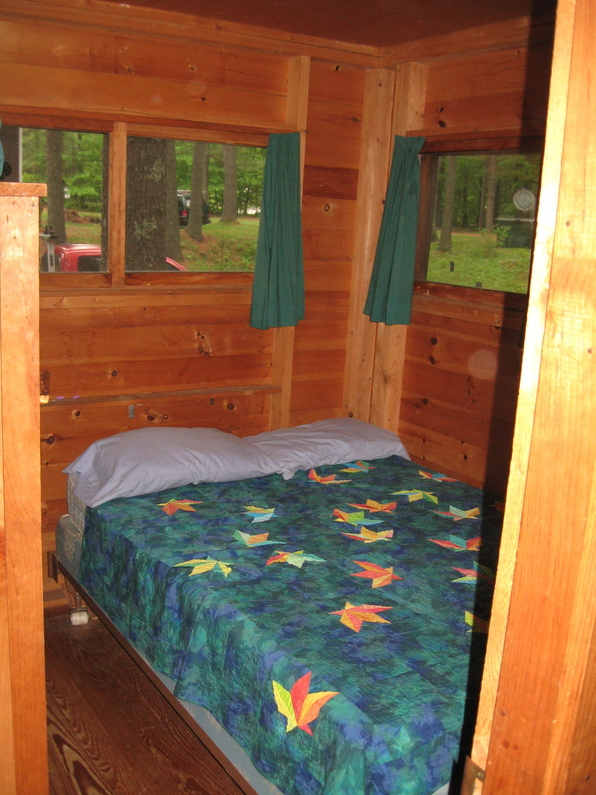 There are two mirror-image bedrooms back to back and a 3/4 bath. 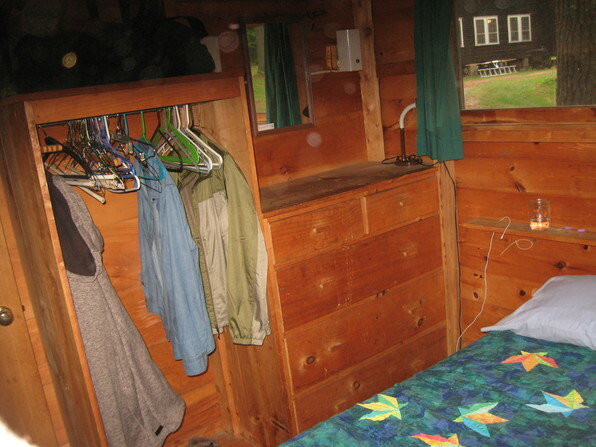 The master bedroom has a double bed, the other has bunk beds, each has a built-in dresser with a mirror, plus a closet for hanging clothes. 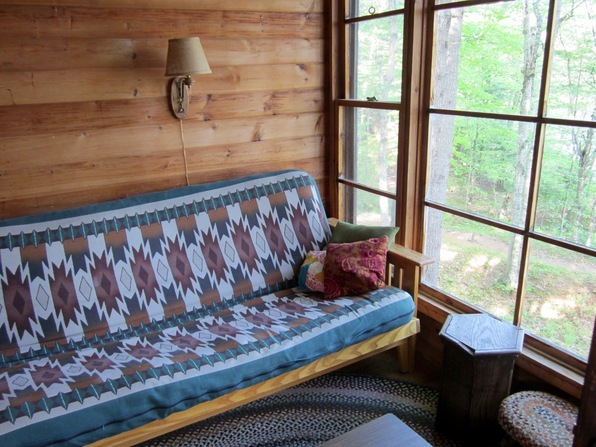 The futon couch in the main room is also a fold-out bed so, in a pinch, this cabin can sleep one or two couples and two to four kids (if two share the futon couch). 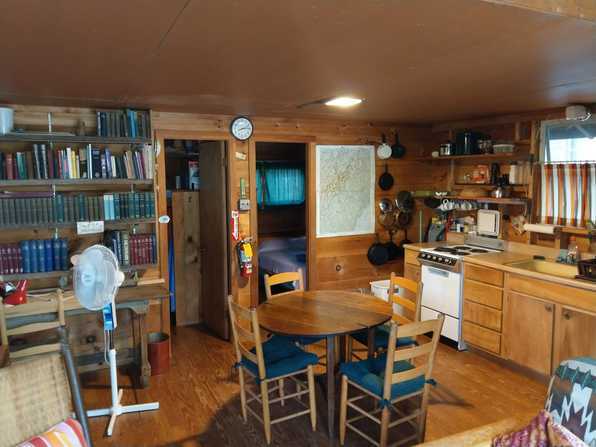 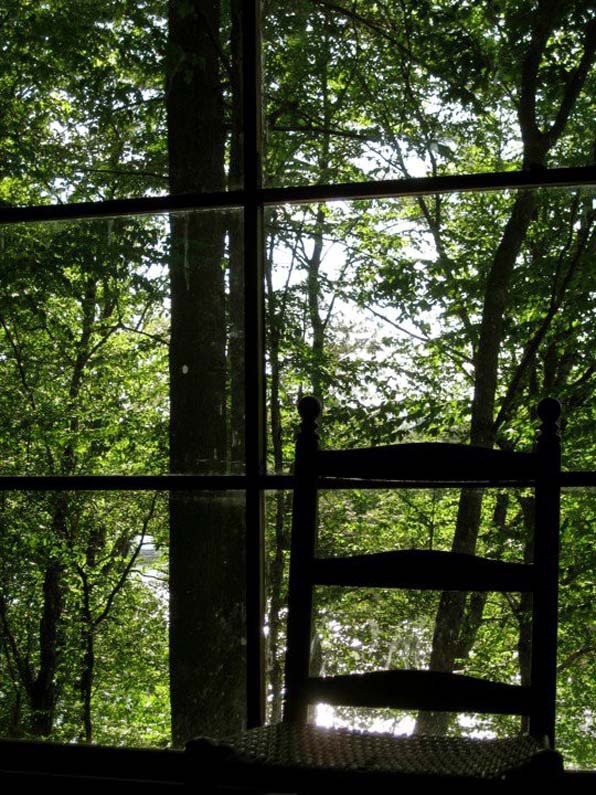 There is a solid wall of windows facing the river from the living room with a good view of our waterfront area, but it is the only cabin without a porch or deck.